Both times silver got to the $50 level, there were world calamities. In January 1980, we were seeing the end of the feckless Jimmy Carter four years in the White House, and inflation had been registering double-digit increases. Worse — probably — in December 1979 the Soviet Union invaded Afghanistan. In 2011, the Fed was on a massive money printing program that was aimed at – in Keynesian theory – pulling the world out of the Great Recession. The Fed created, out of “thin air,” right at $4 trillion to buy toxic assets from troubled banks. And, the Fed got in the lending business, even to foreign entities. Additionally, other major central banks became active in money creation, and trillions of dollars (equivalents) were foisted on the markets. But, what are you going to do the next time silver hits $50? Are you going to sell and take a digital currency in return for your hard metal? The same goes for gold, when it rises to $1900 or $4500. Will you be willing to accept paper greenbacks? If the metals hit prices anywhere near the numbers noted above, the world will again be facing a major calamity, such as the 2008 Great Recession or another war. There are lots of potential calamities out there. As for the 2011 tops, we’re now seven years into a downturn. However, with all the potential calamities out there, I believe that gold and silver are prudent investments at current levels, having put in bottoms in December 2015. Among the potential calamities – to name only a few — are the federal government’s deficit spending, now pushing $1 trillion annually; dealing with (and refinancing) $21 trillion of debt that will easily rise to $40 trillion over the next decade; and, interest on the national debt that is forecast – with no recession – to be $1.3 trillion annually by 2022. As noted in earlier writings, America’s ageing population threatens to bankrupt our entitlement programs, which, of course, would be another calamity. Then there’s the possibility of wars with Russia, Iran and North Korea, with Iran being the most likely candidate. The neo-cons can’t seem to get enough of saber rattling. Will the American Empire be the next? As for the $4 trillion already wasted in Afghanistan and Iraq, the cost was basically financed via debt. Without those wars, our national debt would be $17 trillion instead of $21 trillion. So, what will you do when silver returns to $50, gold to $1900? Will you sell? If you sell, what will you do with the proceeds? Now is the time to start thinking about it. My suggestion: Look for something tangible that could be underpriced during a crisis, such as a piece of land, a farm, a business with tangible assets, a shopping center, an office building. Something tangible. Going back into a digital currency that the government controls would be dangerous. However, here’s something else to consider: Stocks could take a serious tumble and be real bargains. They were in the 2000 Dot-com crash and the 2008 Great Recession. Still, buying stocks when things look disastrous takes a lot of guts because it’s tough figuring out which companies are going to survive. As silver moves toward $50 and gold $1900, the metals will look like they are going higher — and they may very well go higher – and you may not want to trade your metals for dollars or anything else. It may look like the end of the dollar as the official currency of the United States. It may certainly be the end of the dollar as the world’s reserve currency. Remember, the history of paper money is that it is printed until it is worthless. There have been no exceptions. At some point, you will have to decide on a strategy for exiting your metals. Start thinking about it now. Excellent commentary, perspective and reasoning for the expected rise in and perhaps a top of precious metals. Precious metals should always have a percentage in your portfolio with respect to your other investments. The non stop spending and budget overspending shows no sign of stopping no matter what any election year politician may say. An investment in metals is someone you can see, feel, touch and always trade, hard metals for hard times are always a good idea. Please comment on how the Hunt Brothers cornering the market ended. What did the Gov’t do ? Excellent question! Besides getting rid of all debt I am looking at a retirement home on wheels. And if the metals don’t go up in the next decade or two I will have some pretty tokens to leave to my grand children. In uncertain times, I think it’s best to keep metals in my portfolio. As the Gold / Silver ratio contracts, I think the best move is to simply convert the silver to gold. 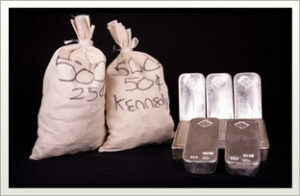 Then as times get better, and the ratio rises, I can convert back to silver –retaining a viable hedge the whole time. As long as I can pay my bills, I will keep the metals for my kids and grandkids. There’s no way I would sell for greenbacks. History repeats or at least rhymes with itself. The best approach is to do what one should have done on the left side of the chart. Sell the historical top, but don’t sell all, because there is a good possibility it could to $90. In any case it will very likely pullback from the prior top to say $40 or $30 before trying again to move above $50, so selling say 50% at the prior top will allow you bank half your profit and be ready for another push up to $50 (Where you’d sell half again). This approach is more about trading than investing, so to do it you’d need to learn the basics of price action trading now, so you’re ready.